So Furinkan High School is holding a drama competition. The play of choice is Romeo and Juliet, and the winning performers get to 'meet China.' Of course, Ranma sees this as his opportunity to get back to Mainland China and break the curse of the hot springs. 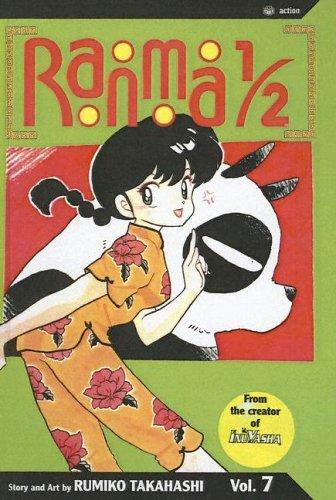 Strangely enough, though, Akane is even more excited about the play than Ranma. As a youngster, she was always the toughest person in class, so she had to play the boys' roles in the plays. But now that she's Furinkan's most eligible young lady, she's the automatic choice for Juliet. So with the boys of Furinkan lining up to be her Romeo, who will finally win her on-stage kiss and the chance at China? The perpetually lost Ryoga has found a map to the Japanese Spring of Drowned Man, and when Ranma finds out they set out to find it and become full-time men again. Unfortunately, the town has been built over the area of the hot spring, and Furinkan High School's girls' locker room has been placed directly over the spring. Will Ryoga and Ranma break into - and under - the locker room without being branded perverts? After the chaos of drama club and locker rooms, things take a turn for the domestic. Akane's determined to bake cookies for Ranma in Home Ec. Ranma, for his part, is a bit suspicious given her past cooking attempts, but she has more than her lack of baking skills working against her this time. Kodachi has also baked cookies for Ranma, and during a fight gets Ranma into a...compromising position, with photographic evidence. Will Ranma get past her pet Mr. Turtle and steal the negatives before Akane sees the photo? Once again, we have more high-school action in this volume. With all the drama surrounding Akane, it's amazing that she consistently stays the most eligible bachelorette, but somehow that's how it works. Here's to Akane and her multitude of suitors, and let the best man win! Highs: I refuse to believe that Akane's cooking could be that bad. Cookies really aren't that hard. Lows: If Ryoga wants to play the good guy, he really should retire as Akane's pet. Verdict: I always enjoy the high school stories, and the ensemble cast makes for a unique brand of chaos.